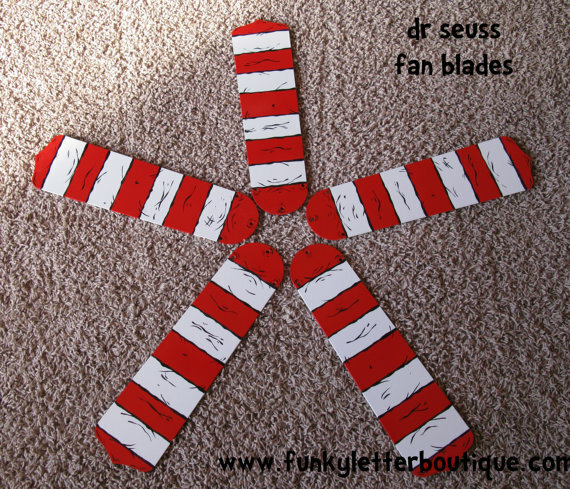 These ceiling fan blades are hand painted to match my popular line of Cat in the Hat red and white whimsical stripes and dashes. Please allow 3-4 weeks for the completion of your custom art. None of my products are premade, they are made at the time order is placed.